Daft as a Brush Bluebell Bus had a very successful visit to the Edinburgh Western General Hospital where we met with Jenny Fleming, the General Manager, Surgical Services and Denise Calder, General Manager Cancer Services. Both were very impressed and interested in the whole concept of what Daft as a Brush Cancer Patient Care provides. 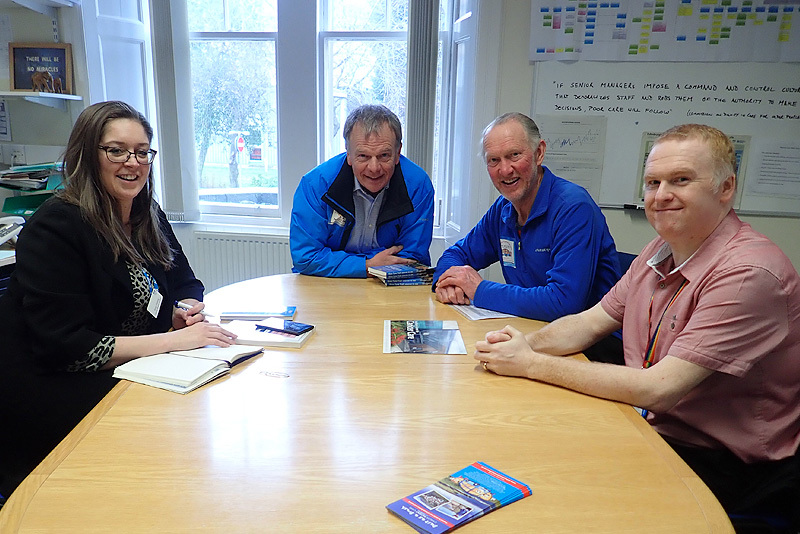 With Brian Burnie was Peter Towns (Matron for Cancer Services and Specialist Haematology at Newcastle Freeman Hospital) and our very own Alan Nelson – Long time volunteer to the charity. What an amazing reception Bluebell Bus has received. Thanks to everyone for their continued support! The walk continues with planned visits to Dundee, Aberdeen and Inverness hospitals spreading to word about how Daft as a Brush Cancer Patient Care can help their areas. 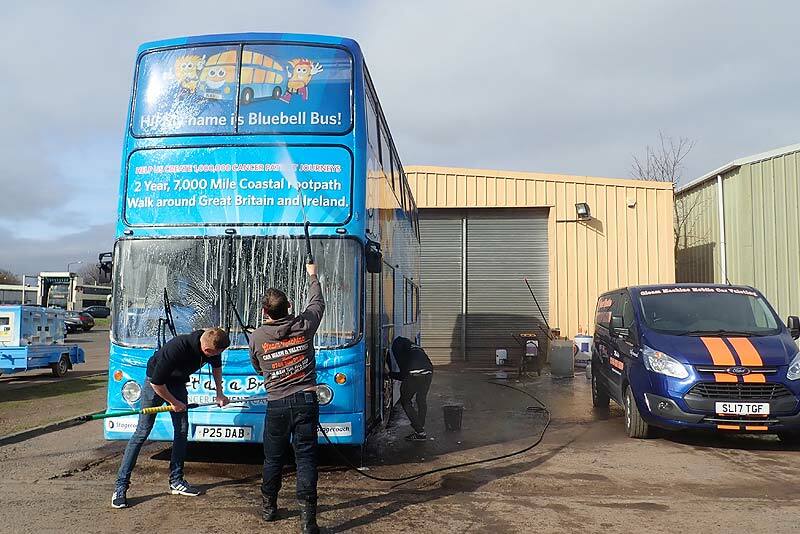 Such kindness from Paul, Tracy and the team at Gleam Machine Moblie Car Valeting who washed our Nissan Navara and double decker Daft as a Brush Bluebell Bus for FREE to keep us looking spotless for our meetings in Edinburgh thank you so much guys!! Can you keep Bluebell Bus and Brian Burnie on the road? Please donate anything from £1 – Click to visit our Virgin Money Giving Page. Registered as a company limited by guarantee in England & Wales No. 2333474.